Show just how much you really care! Forget teddy bears, conversation hearts and actual flowers — nothing beats chocolate for Valentine’s Day. And now, Walmart is selling a bouquet made entirely of Reese’s peanut butter cups to make shopping for the perfect gift easier than ever before. You can’t top a classic peanut butter and chocolate combination, so why even try? Instead, go all in with not one but 36 Reese’s cups all wrapped up in a gorgeous display. 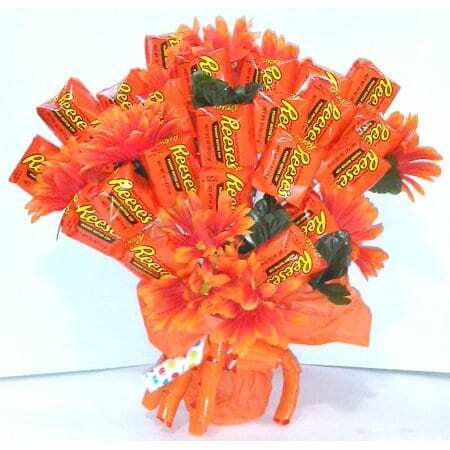 This truly memorable gift, appropriately named the Reese’s Extravaganza Bouquet, is available for $44.99 at Walmart.  It features the beautiful orange color that Reese’s-lovers admire, along with orange faux flowers, all wrapped up in tissue paper and tied with a bow. If your special valentine isn’t as obsessed with Reese’s as the rest of us, Walmart is selling a variety of other candy-filled bouquets, with a little something for everyone. 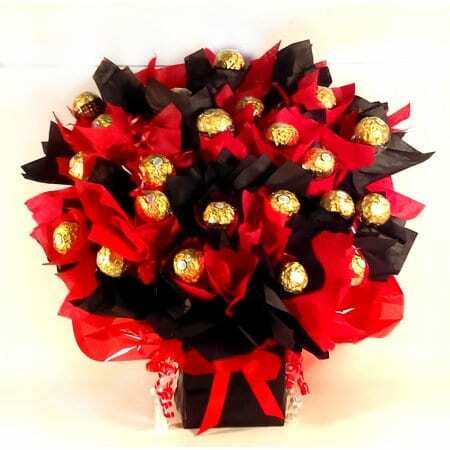 Nothing says “I love you” quite like a red and black chocolate candy bouquet. This one happens to be filled with 22 Ferrero Rocher candies and one milk chocolate heart. 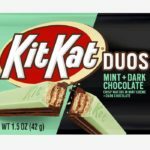 So, maybe Reese’s isn’t their thing, but KitKats totally are. 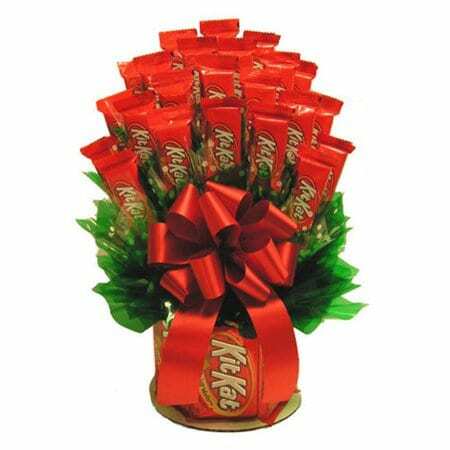 In that case, you won’t want to get them anything other than this KitKat bouquet, which contains an array of KitKat bars in various sizes. 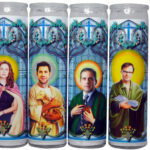 The large option, shown below, is available for $59.11, and there’s a medium option for $55.99. But when it comes to candy bouquets, go big or go home! 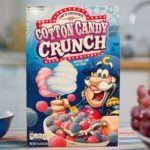 If your sweetheart loves all kinds of candy, this is the bouquet for them. 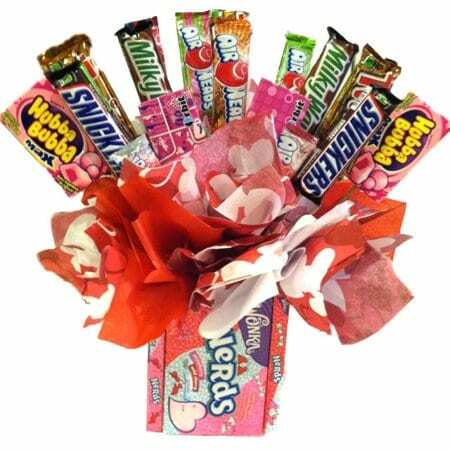 Called the Ultimate Nerd Candy Bouquet, it offers up everything from Hubba Bubba to Snickers, and who could resist something like that? Whether your paramour is crazy for chocolate and peanut butter or a lover of all kinds of candy, these edible bouquets are sure to impress!